Subitrans provides domestic and international logistic services. Our routes are designed to allow us to offer both complete and partial delivery services. 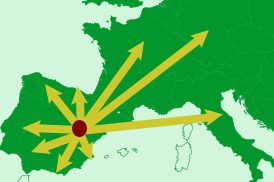 The location of Subitrans´ headquarters allows us to design national and international routes using both the Ebro and Levante corridors as points of entry and for the exportation of goods. In Cella, we offer the possibility of storing your merchandise. We have a spacious, modern facility equipped with security systems, so that you don´t need to worry about the logistics of your products. Subitrans offers domestic and international logistics, the design of our routes allows us to offer both complete and break-bulk cargo services. 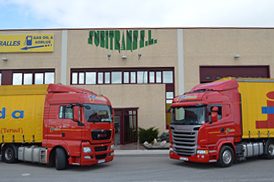 At Subitrans you will find a company concerned about the distribution of your products in Teruel and the surrounding areas. 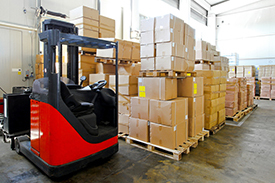 Our infrastructure allows us to develop quick and efficient logistics services. 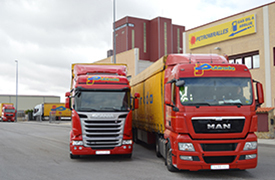 We specialize in the logistics and distribution of products from our logistical center located in Cella (Teruel). The company has quick access to the main road networks at a national and international level. The company is aware of the current market needs, where quality service is measured by the speed and security of your shipments. This is why we are always committed to new technologies in order to streamline the entire distribution process. In all our warehouses we have the latest technology in machinery and equipment tostreamline processes and keep tight controls to minimize incidents. Our vehicles have a maximum age of 5 years and undergo regular checks which are more comprehensive than the regular mandatory maintenance.